Three words from North Landing Elementary School (NLES) third-grade teacher Tracy Coffin are the most anticipated of the afternoon. Students grab construction kits. Adult volunteers secure hammers. Materials and instruction sheets are scattered across cafeteria tables. The battle of the birds, butterflies, bees and bats begins. Mello and his father build a bat house. At a nearby table, second-grader Mikaela Farley defends butterflies. “Their wingspan is really big, and it can probably knock other bugs out of the air,” she says. 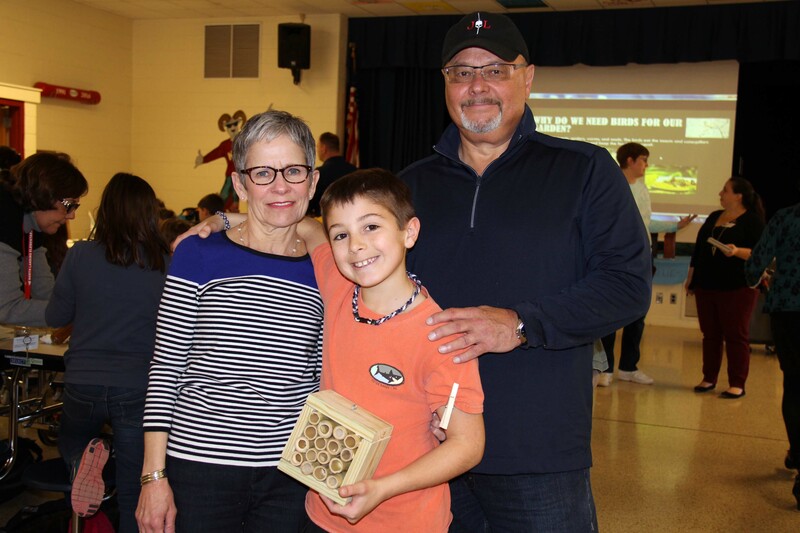 Fifth-grader Jack Klindienst supports his stinging bees as best for the environment. 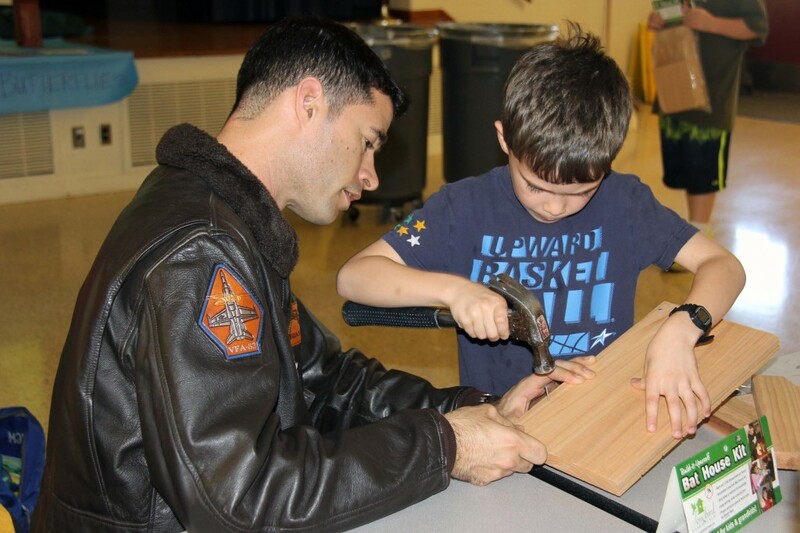 Latta hammers together pieces of a birdhouse kit. Latta need not worry about an invasion of worms any time soon. 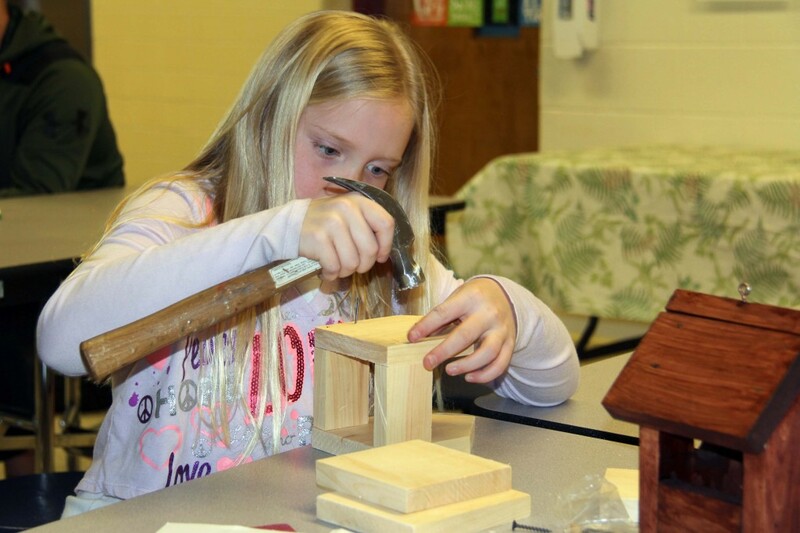 She and her fellow NLES ecology club members are constructing shelters for birds as well as homes for bees, bats and butterflies to be placed in the school’s garden. The afternoon building session is one of the final steps in a project that club sponsor and NLES teacher Coffin thought of this summer. Talking over the sound of three dozen hammers at work, Coffin explained she read a newspaper article about the Norfolk Botanical Garden and how to build a bee house. After seeing a different article about butterfly houses, Coffin began to brainstorm ideas for a hands-on environmental lesson that would also enhance the school’s garden. She added birds to the plan and began researching options for build-it-yourself house kits. With funding from a Virginia Beach Education Foundation (VBEF) innovative learning grant underwritten by RRMM Architects, Coffin was able to purchase kits and other resources to support the new project. 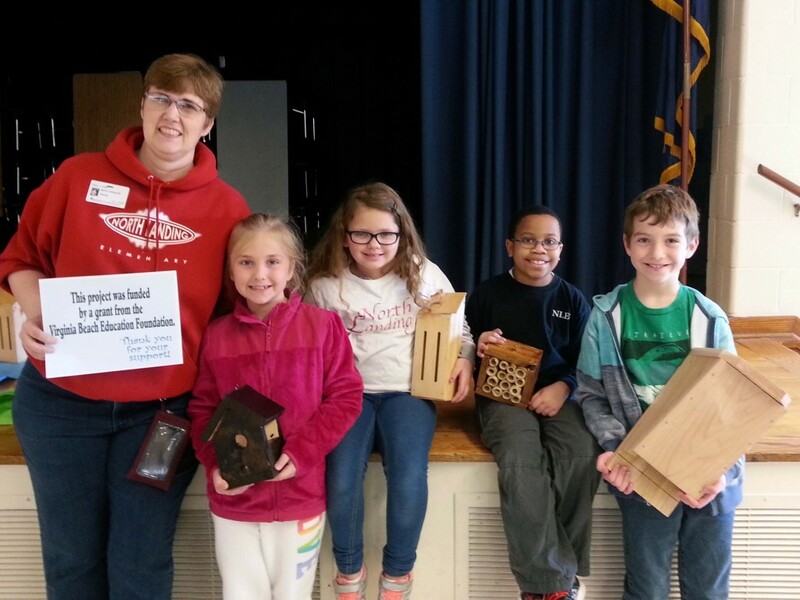 Coffin (left) and members of the NLES ecology club show their finished products. The culminating bird-bat-butterfly-bee debate is in two weeks, and ecology club members are ready. Fourth-grader Jake Miller is buzzing with excitement about bees and his research. Miller and his grandparents successfully assembled a bee house. Isaac Loftus shares more information. “Butterflies have lots of different species and having lots of variety is good because they all eat different things,” he says. Fellow bird group member Kennedy Monahan is too focused to talk. She has a birdhouse to finish. 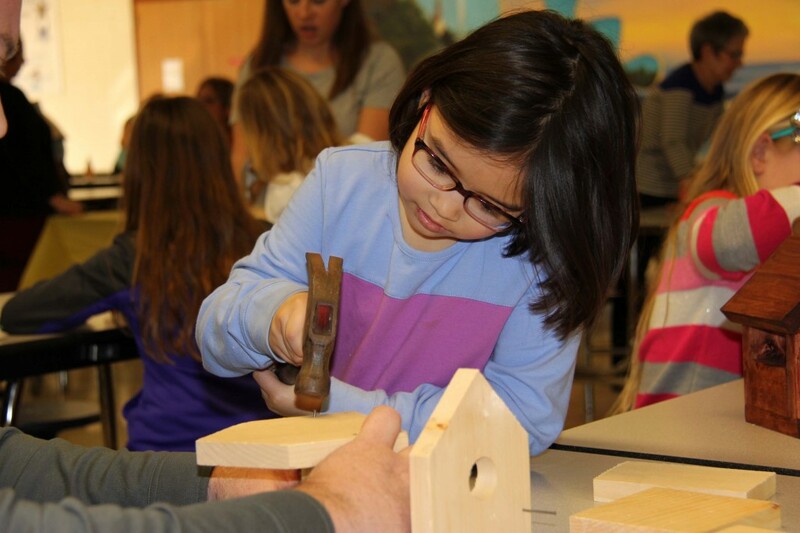 Monahan works diligently on her birdhouse. For more information about the Virginia Beach Education Foundation and to see more Adopt A+ Grants in action, visit www.vbef.org. If you or your organization wants to support innovative and creative learning programs to benefit VBCPS students and teachers, contact VBEF coordinator Debbie Griffey at (757) 263-1337 or debbie.griffey@vbschools.com. Hey what a cool project! So glad to see our sponsorship going toward such an engaging project. Looks like you had a lot of fun and helped our environment at the same time. I hope you all got A’s for your four B’s.